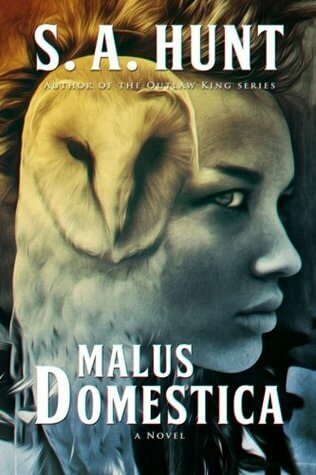 Book Review: Malus Domestica by S.A. Hunt - Spectacular Fiction! Sometimes you really can judge a book by its cover. The first thing about Malus Domestica that caught my eye was the beautiful book cover, designed by the author himself, S.A. Hunt. Meet Robin, an unusual young woman who stars in her own show on YouTube, the eponymous Malus Domestica, which documents her adventures travelling across the country and killing witches. Sounds like one of those shows like LonleyGirl15: clearly engineered for entertainment. Only Robin’s adventures are all too real. Robin’s bizarre exploits were spurred by the murder of her mother, which she claims was the result of witches dabbling in evil magic. She travels back to her hometown, a place that has become filled with hidden horrors, with the intention of killing the witches and destroying the dark and hidden power they wield to manipulate the world around them. Throughout the story, Robin gains a colorful cast of companions: Kenway, a veteran and artist with the potential for more than a friendship; Joel, a friend and blast from her past; and Wayne, a teenager who has just moved into town with his father. Though Malus Domestica is categorized as urban fantasy and horror set in the present day, the story has the feel and language of an epic fantasy with interweaving narratives. Malus Domestica is quite unlike anything else that I’ve read lately. And the story doesn’t stop there: the author is working on a sequel! If you love speculative fiction or are looking for a dark read, give Malus Domestica a try. You can grab a Kindle or paperback copy of Malus Domestica on Amazon. Prev post A Science Fiction Double Feature!